The Intercontinental Network for the Promotion of Social Solidarity Economy (RIPESS) is pleased to invite your organization / network to contribute to the participatory construction of the Recommendations by Social Solidarity Economy to the Millenium Development Goals post-2015. The first was a public consultation held in the 5 continents (in English, Arabic, Spanish and French) and coordinated by the United Nations Non Governmental Liaison Service (UN-NGLS) with 120 civil society networks (representing more than 3 thousand grassroots organisations). It resulted in the report “Advancing Regional Recommendations on the Post-2015 Development Agenda” (available here). 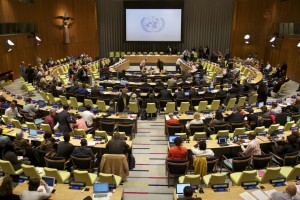 This report was officially handed to the UN State Members by the President of the 68th session of the General Assembly on September 25, 2013, and presented in the UN Headquarters in the course of the biggest activity ever organized by the UN with civil society, which brought together more than one thousand people in the plenary. This report was recently organized in a series of 8 brief policy recommendations from civil society compiled by UN-NGLS, which will be used as inputs to the Open Working Group on Sustainable Development Goals in February 2014. 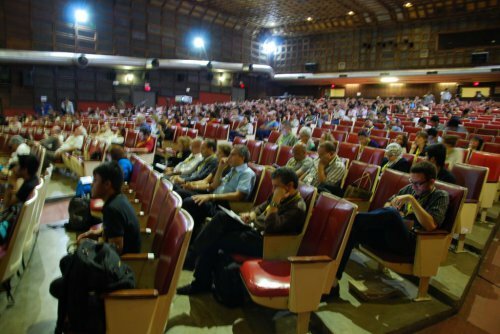 The above-mentioned report served as important input to the construction and approval of the current recommendations, during the 5th International Meeting of Social Solidarity Economy, held in Manila in October 2013, when 650 people, representing organizations and 35 countries all took part (read more here and here). It was decided at that moment that RIPESS would launch a public consultation to have a more consistent and bottom-up set of recommendations made by the actors of the Social Solidarity Economy Movement. After the current public consultation, RIPESS will release the final document that will incorporate feedback received. It will then be possible for organizations and networks to endorse it, and have their names added to the recommendations. These will then be formally presented to the United Nations.